Blurb Description: In this brand-new novel from #1 New York Times bestselling author Meg Cabot, a scandal brings a young man back home to the small town, crazy family, and first love he left behind. It’s like going back to the days you first started reading, and re-experiencing your first love all over again (because if you haven’t read The Princess Diaries, you haven’t truly experienced ANYTHING) and it is beautiful. While I wasn’t initially excited about The Boy Is Back, I’m only a mere bookworm with no self-restraint (as my bookshelf will clearly show you) and well, I definitely reached the excitement stage, and the MINUTE (okay, the day) after I got the book, I dove in. 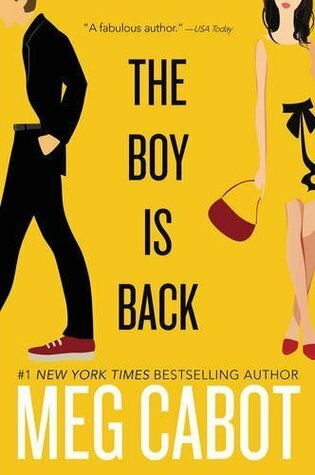 The Boy Is Back is a quirky and hilarious, a typical Meg Cabot book that will have you laughing, falling in love and, as always, wondering where your Michael Moscovitz/ Reed Stewart is. Becky Flowers is the only senior moving consultant in a hundred mile radius, and has stayed in her home town of Bloomville, Indiana when her dad passed away to take over the family business. There’s only one thing that still shadows her – a boy in high school, and a break-up and scandal that involved a pool, liquor, a golf cart, a prom and ten years of no phone calls. Reed Stewart used to be the number one golf player in the world, and he also used to be the son of a judge and in love with a quirky girl whose last name was flowers’, until he left it all behind. Ten years later, and a minor scandal involving stamps, major food chains and fraud, Reed Stewart is back in town, and nothing will ever be the same. And with the exception of number 7, The Boy Is Back has all of them, which just means that you need to buy and start reading this NOW. Told in a text, email and diary format, this book is a fast paced read that will have you smiling, pining and rooting for a fairy-tale ending. Despite all the cuteness, the only thing I didn’t like was Becky and Reed together. Don’t get me wrong, they were GREAT on paper – cute, wronged lovers that fate threw together again – and their texts and email to and about each other were OH SO CHEMISTRY FILLED, but The Boy Is Back had about FOUR SCENES where they actually spoke to each other, and well, I NEEDED MORE. Reed, though he was portrayed as a ‘bad boy’ really just seemed like an enigmatic rich boy. I think I just needed MORE of Becky and Reed themselves, ALONG with all the secondary drama for it to have been a great, and not just a good read. 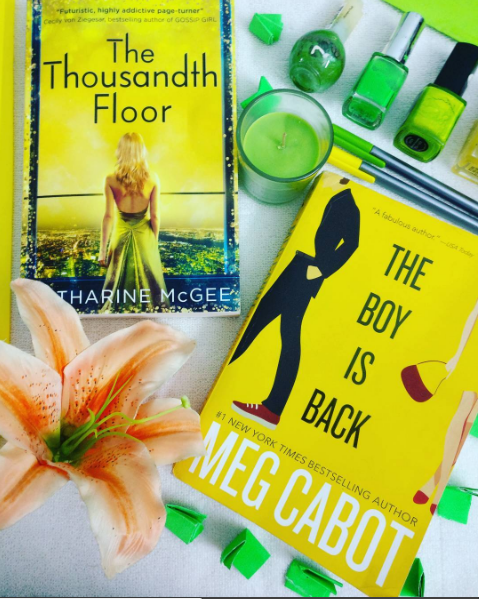 WHAT is your favourite Meg Cabot Book? WHO is your favourite Meg Cabot Boy?